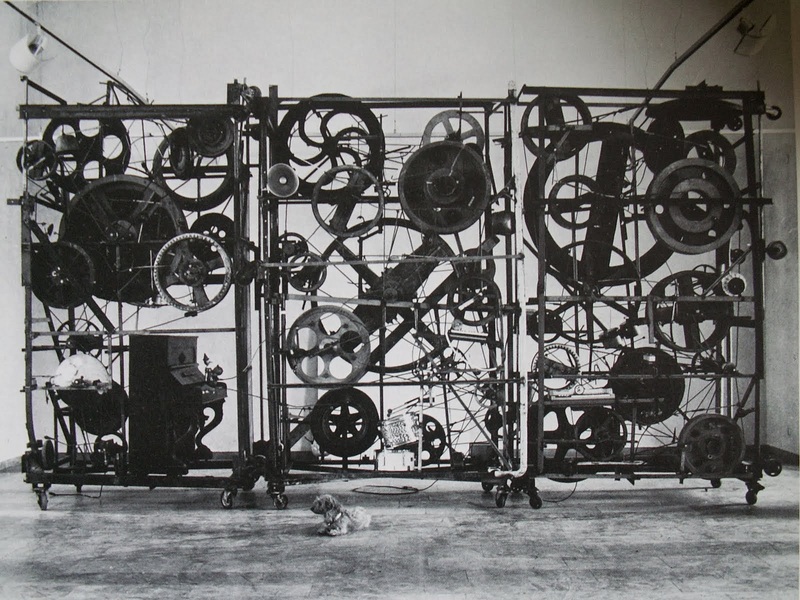 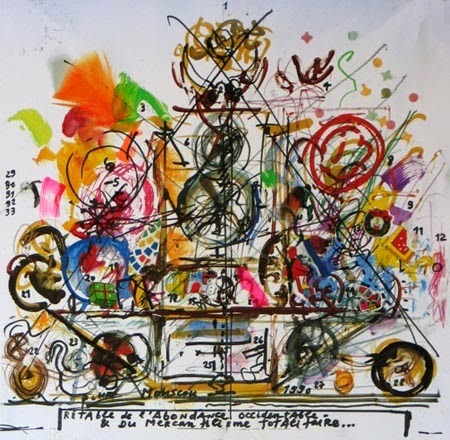 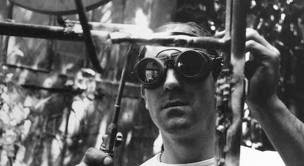 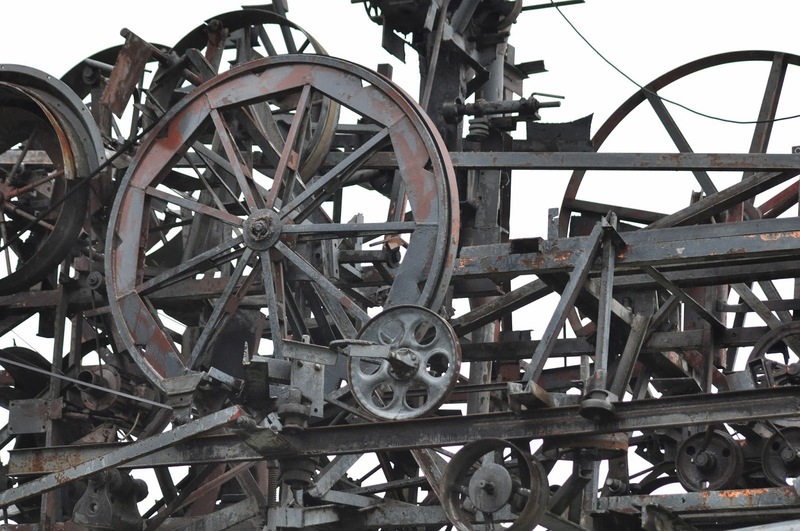 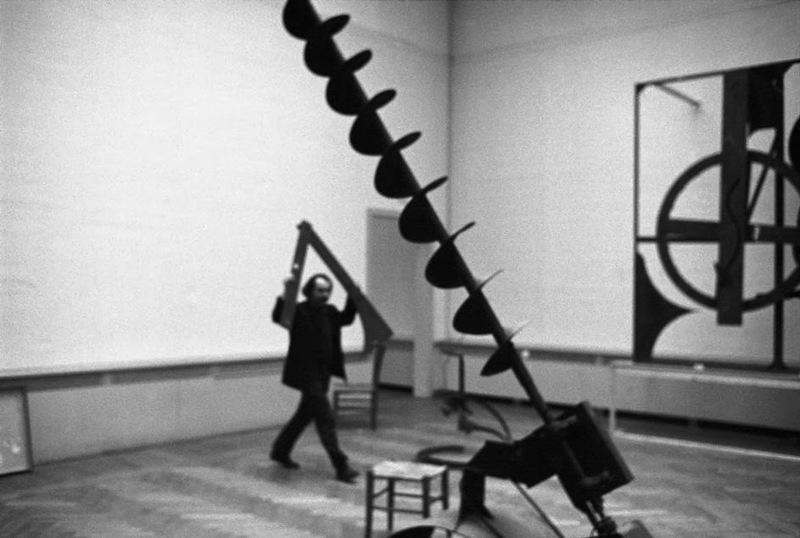 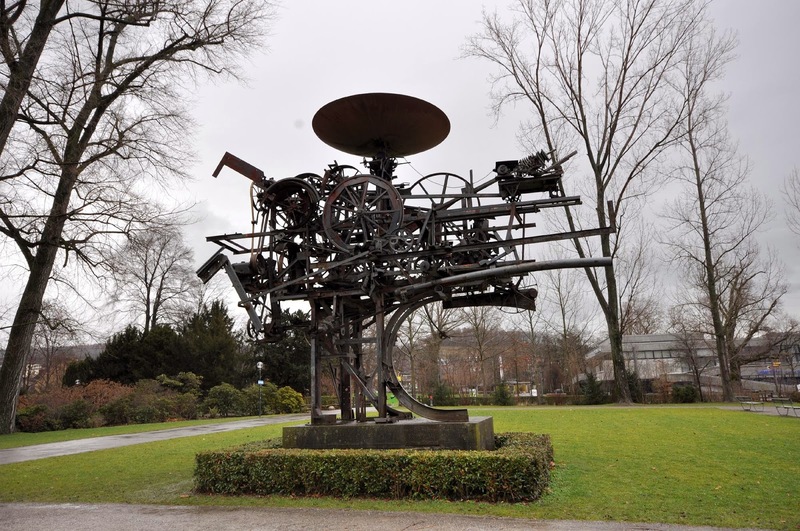 Tinguely was also a pioneer in the field of art that engenders social engagement. 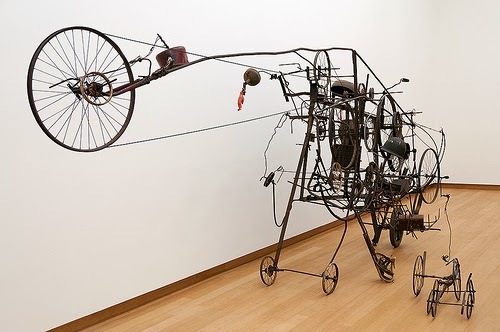 His sculptures often rely on the spectator to push a button, pull a lever, or somehow cause them to start moving. 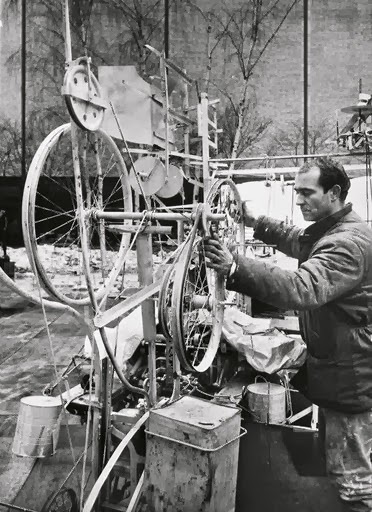 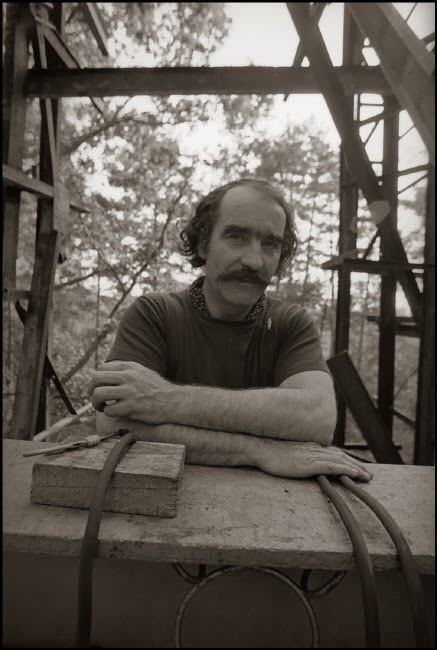 Jean Tinguely as early as the late 1930s, he began to create hanging sculptures that used motors to propel them into motion. 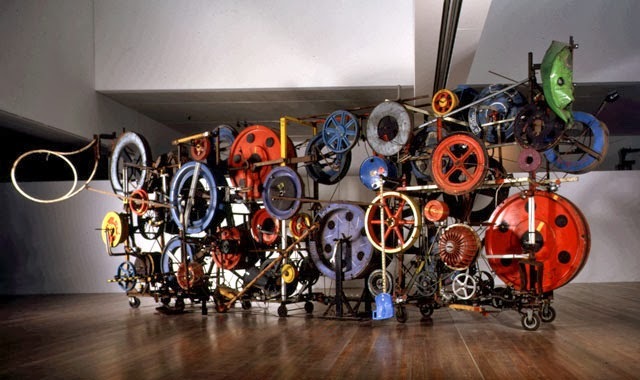 He later called his form of mechanized sculpture “Méta-Malevich.” In 1954, art historian Pontus Hultén coined the term “Méta-mécaniques” (meta-mechanical devices) by which these works are now known. 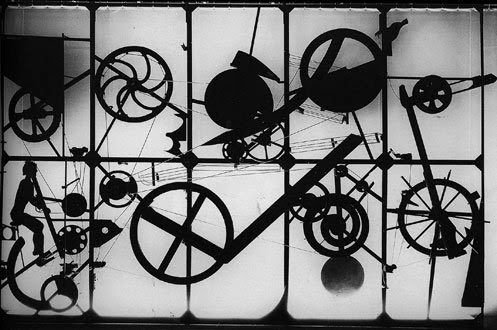 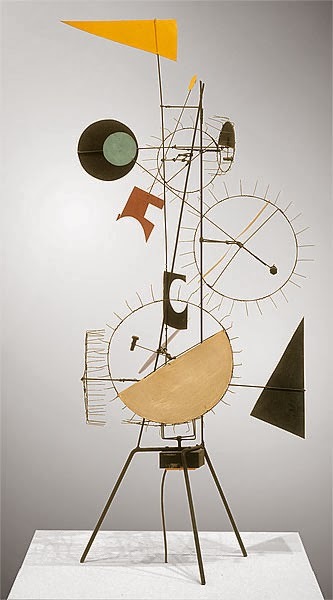 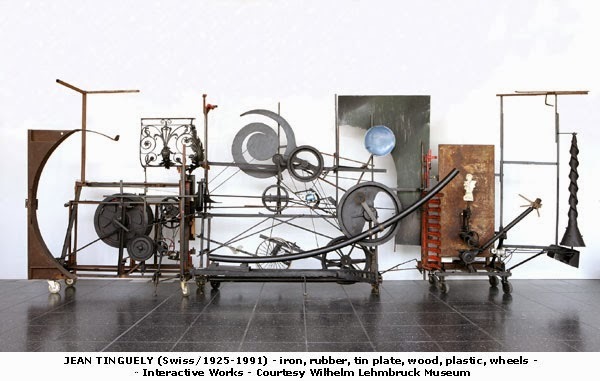 Tinguely studied at the Allgemeine Gewerbeschule Basel under Julia Ris from 1941 to 1945. 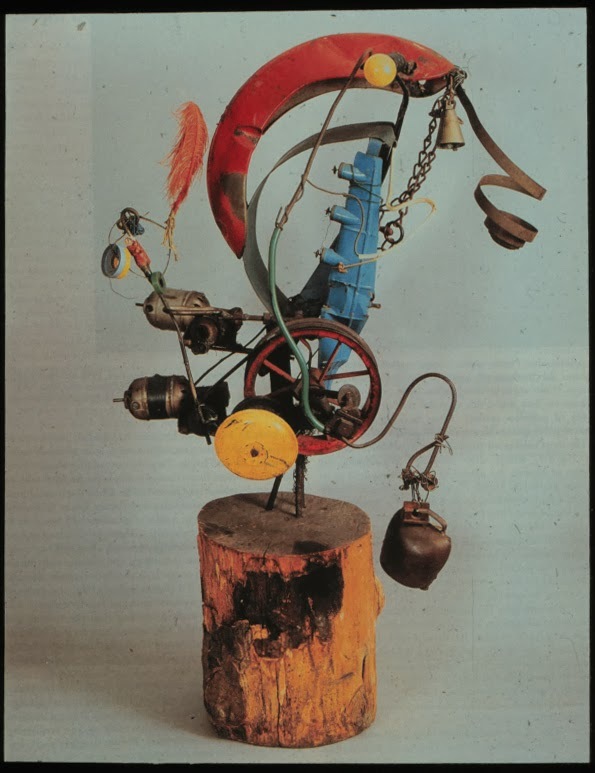 There he discovered Kurt Schwitters’s Dadaist work, which would have a great influence on his constructions. 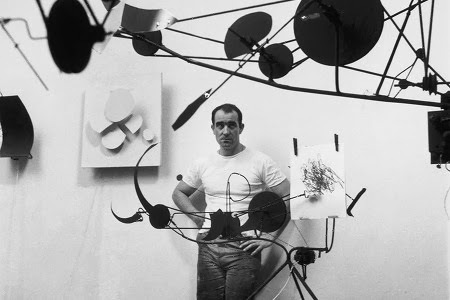 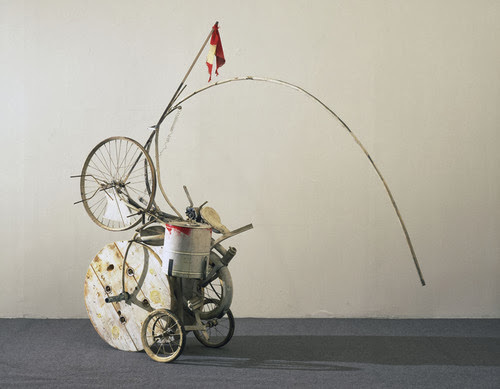 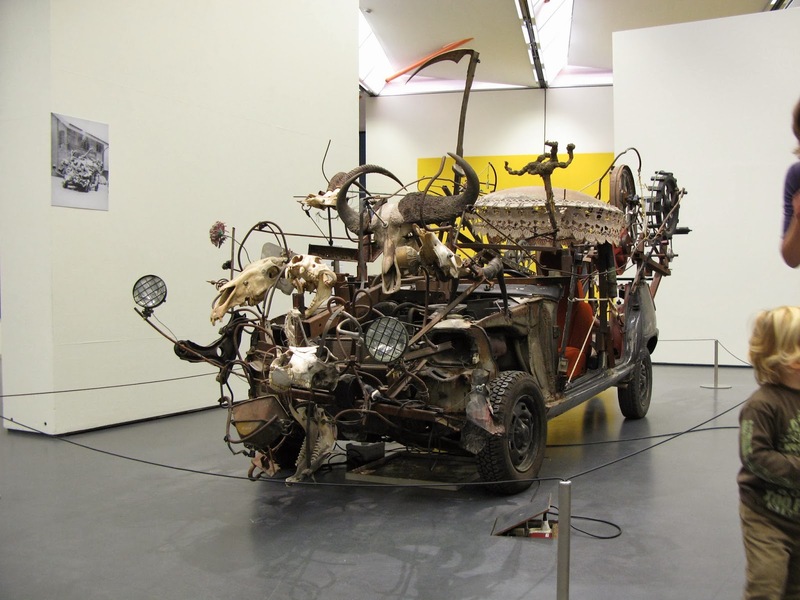 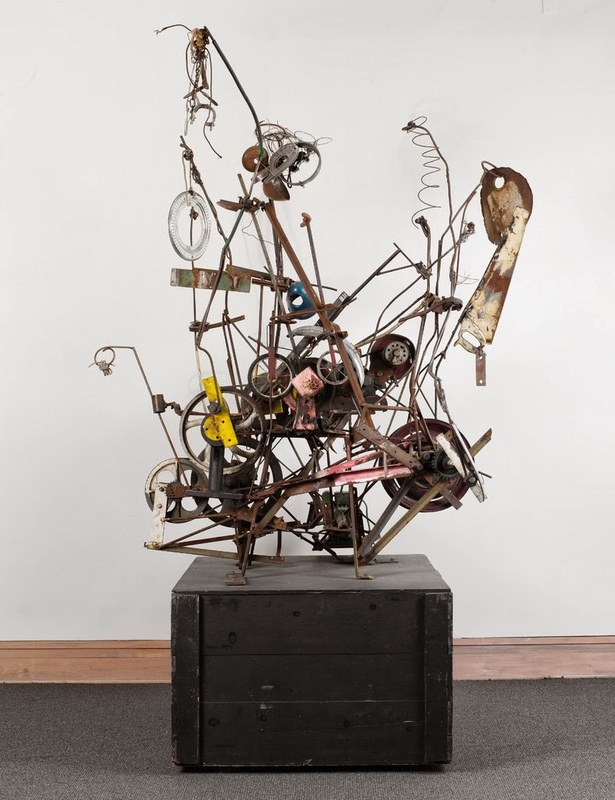 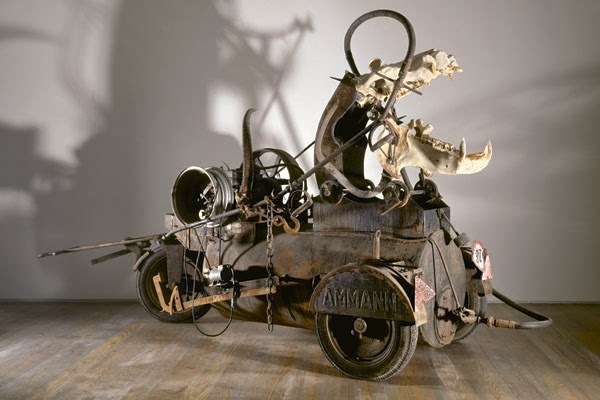 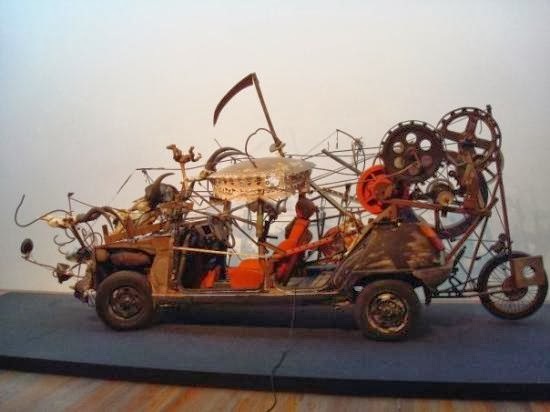 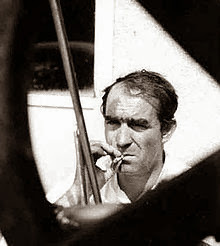 Tinguely went through a brief Surrealist painting phase after World War II, but ultimately abandoned painting in favor of sculpture.Tinguely’s interest in self-propelled motion is central to his sculptural oeuvre. 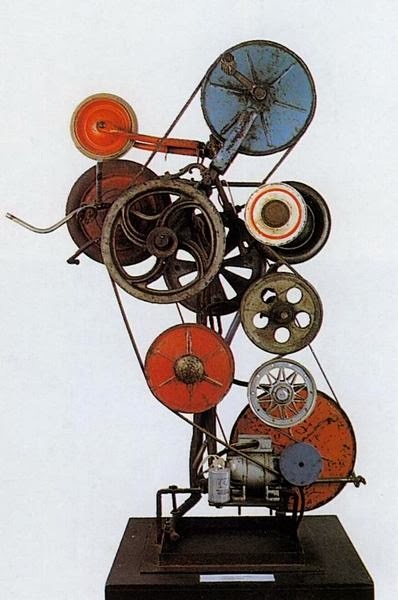 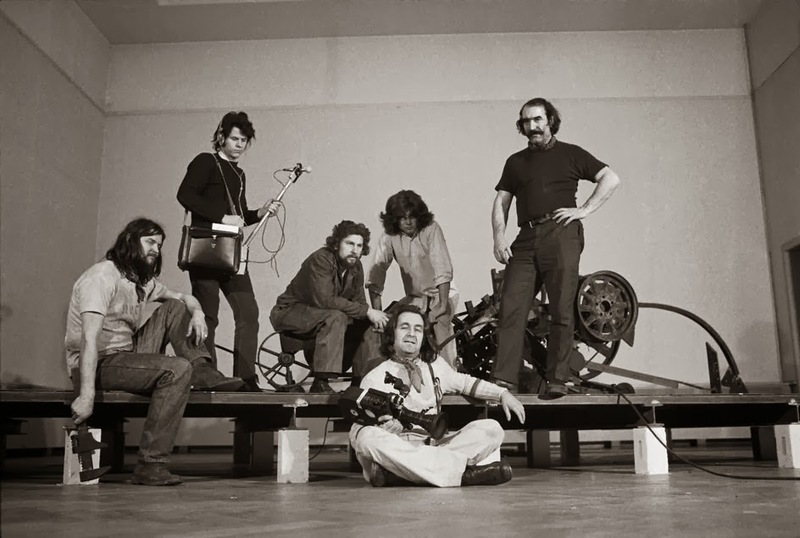 In 1953 he and Daniel Spoerri, a Romanian dancer and artist, planned a live event called the Autothéâtre (Automatic theater), a performance that would use a mechanical set designed by Tinguely to move colored shapes and objects around a stage without human performers. 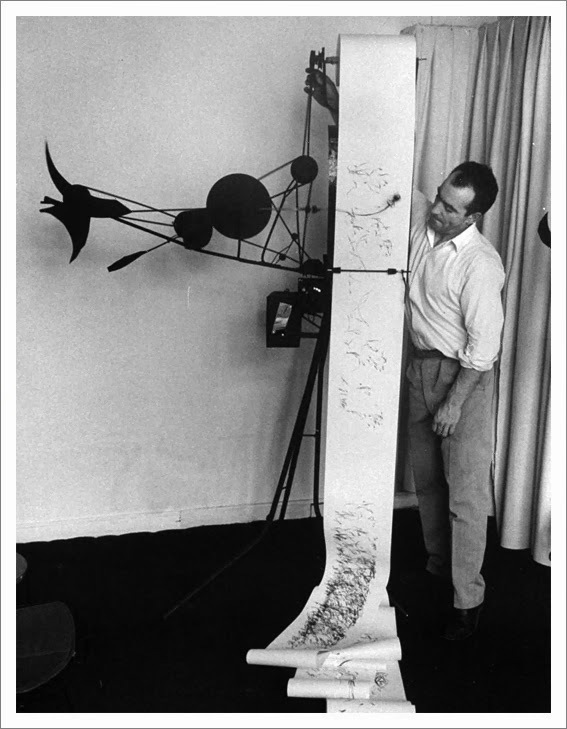 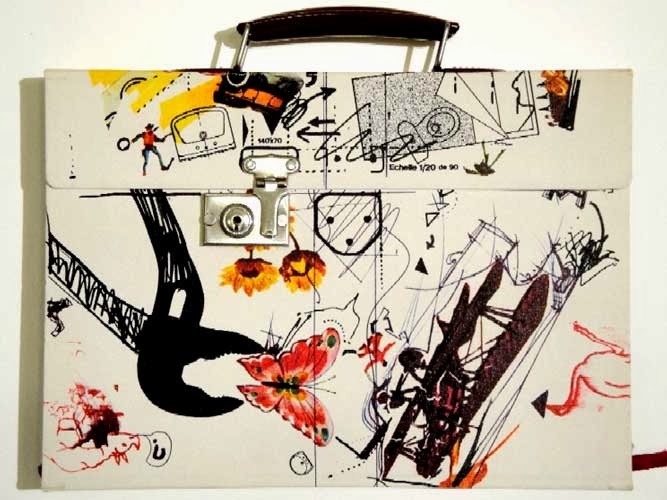 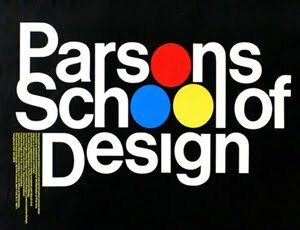 In the late 1950s, he created a series of automatic drawing machines, the Meta-Matics, which use chalk or markers to create abstract works of art through a mechanized process. 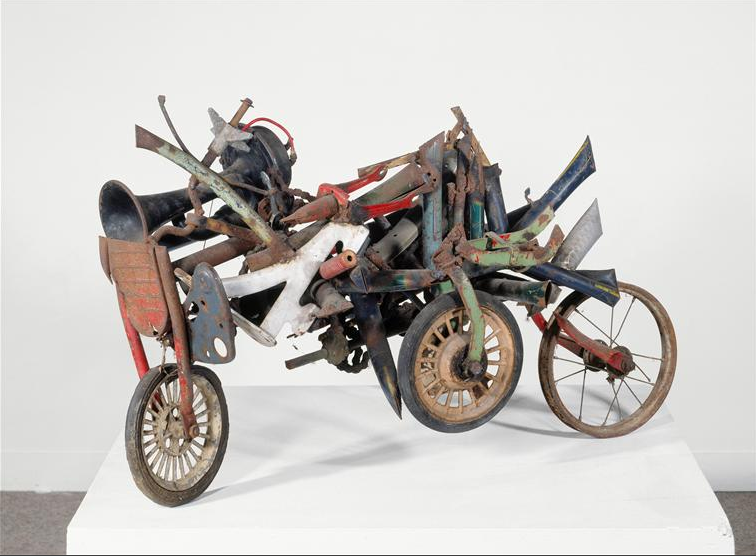 His constructions, which combine junk sculpture with kinetics, are often witty, humorous, and ironic, owing a great deal to the Dadaist legacy of anti-art. 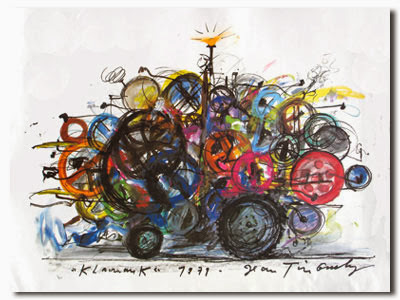 Tinguely was also a pioneer in the field of art that engenders social engagement. 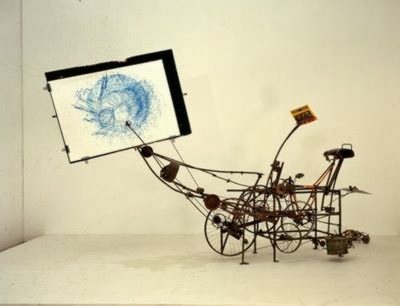 His sculptures often rely on the spectator to push a button, pull a lever, or somehow cause them to start moving. 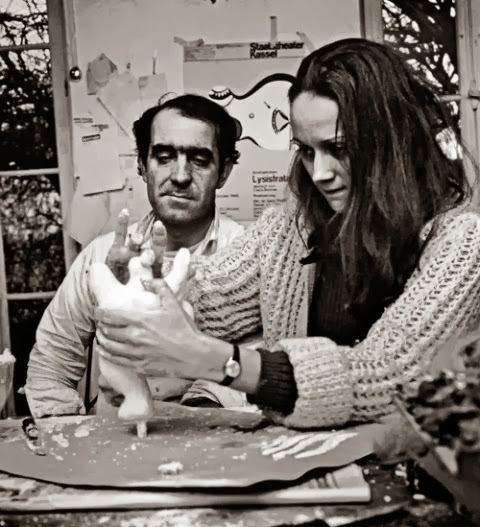 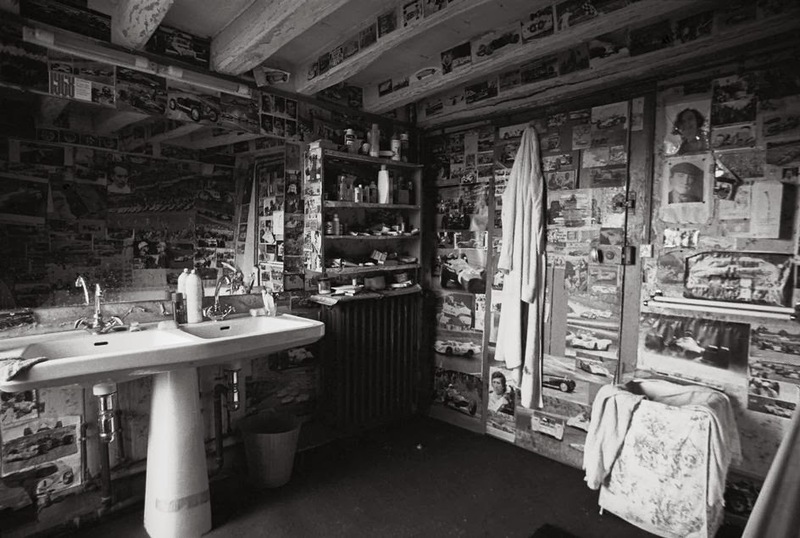 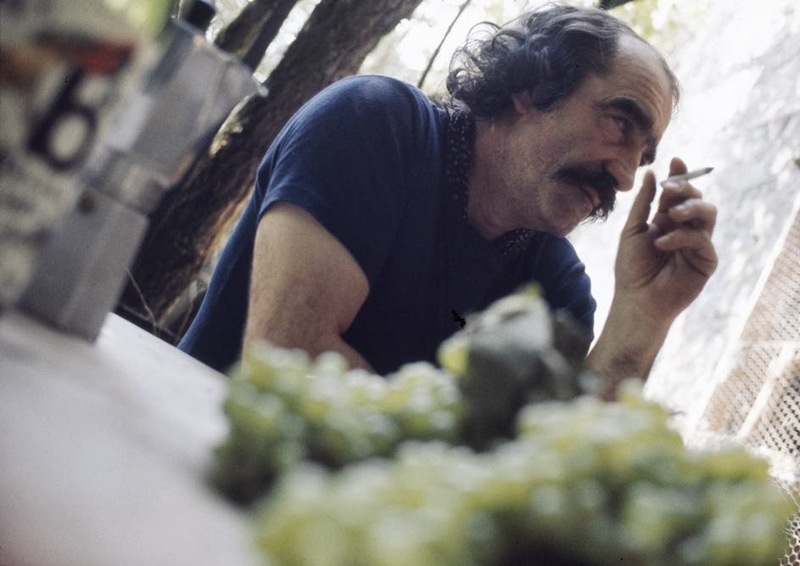 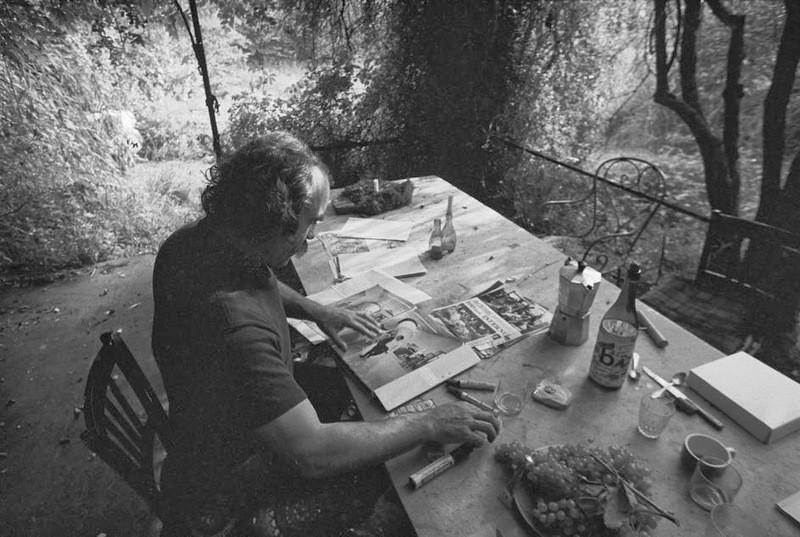 In 1971 Tinguely married artist Niki de Saint-Phalle, with whom he had lived since 1965. 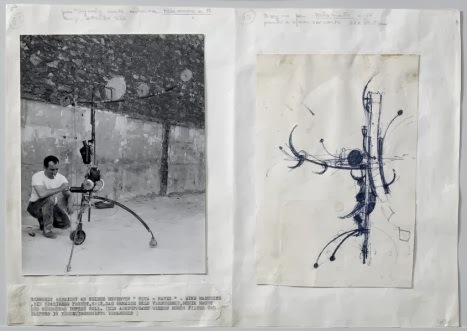 During the 1970s, he had embarked on a series of fountain projects, and the two collaborated on Stravinsky Fountain (La fontaine Stravinsky, 1983), located outside the Centre Georges Pompidou, Paris, and featuring 16 mechanical birds spouting water. 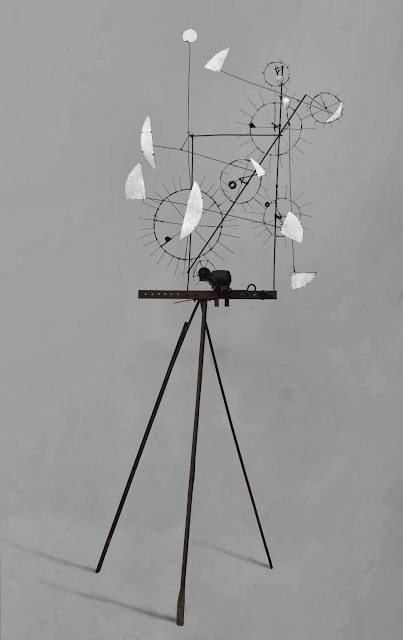 The birds’ simultaneous and unpredictable movements are typical of Tinguely’s art and representative of his central belief in subverting the utilitarian purpose of the machine. 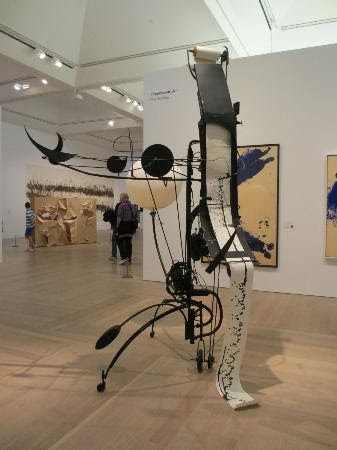 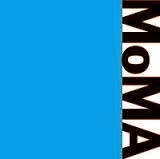 Perhaps his most famous work, Homage to New York (1960) was built for the Museum of Modern Art, New York. 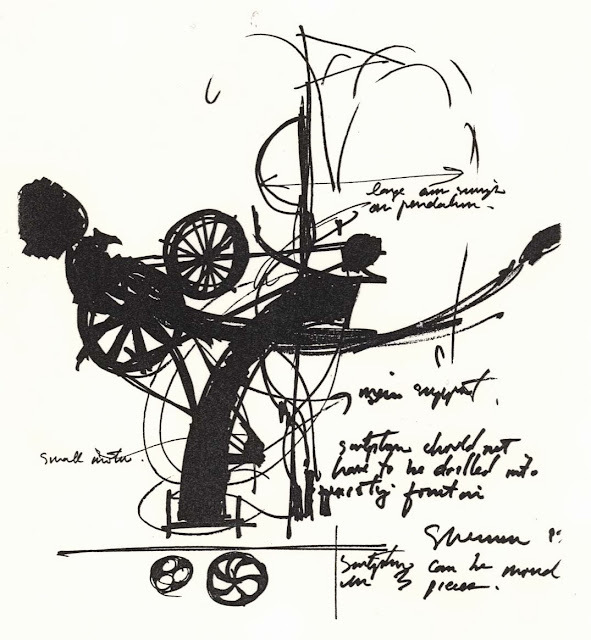 The sculpture was designed to self-destruct in front of a live audience of spectators. 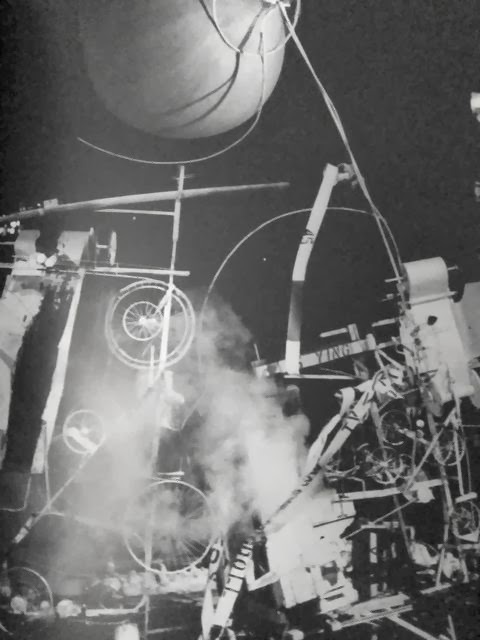 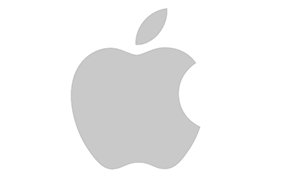 It notoriously only partially completed its task—its flames were put out by the fire department. 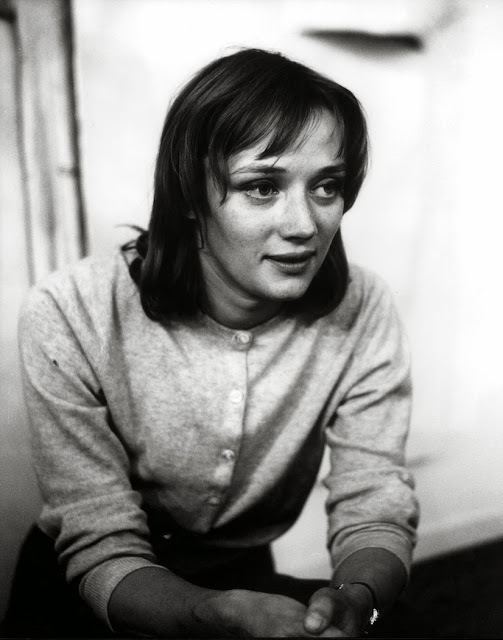 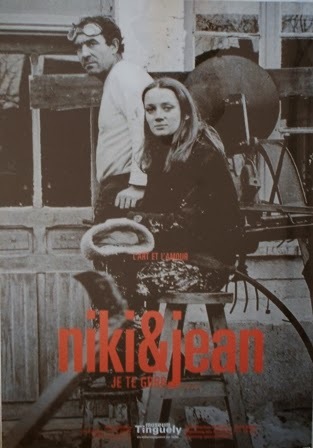 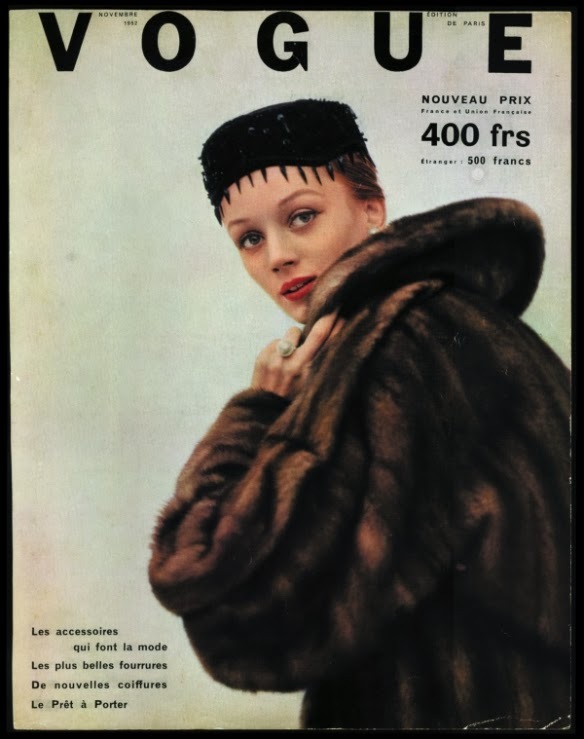 Tinguely married artist, Model Niki de Saint-Phalle, with whom he had lived since 1965. 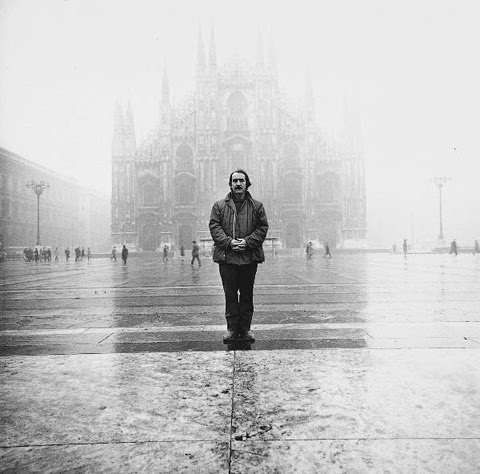 During the 1970s, he had embarked on a series of fountain projects, and the two collaborated on many works.